Nokia wants to make sure you are getting the most out of your phone, and it's willing to spend some money to do so. 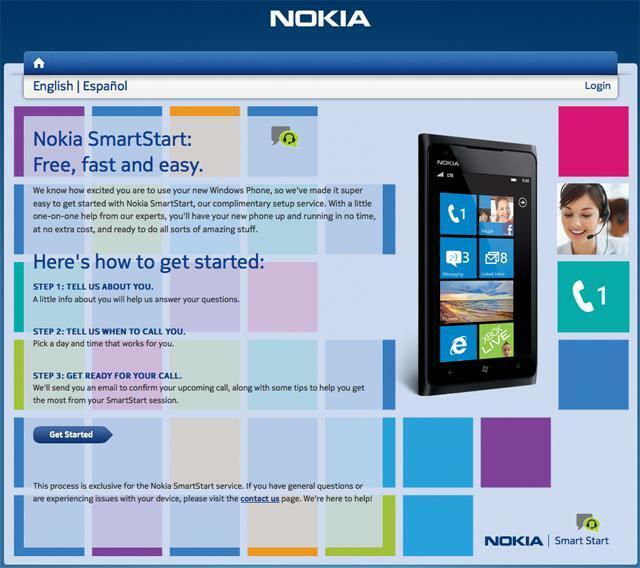 A new program from Nokia called SmartStart will let you schedule an hour long training session with an expert who can help you get to know your phone better. Need more training than that? Simply schedule as many sessions as you want, and best of all, it's free. When you set up the session you will need to enter your handset's IMEI number so you verify you do actually own a Windows Phone handset, but from there on out you can schedule a day and time that best suits your schedule. While a goodly number of us laugh at the idea of readin a manual, let alone jumping on the phone with someone to train us in the basics of our phones, there is still a large segment of the smartphone buying consumers who have no clue how to work every aspect of their phones.